The Miami WMC preparations wouldn't have been complete without a new Inland Knights release, and just in time for the sun and sand the Nottingham duo serve up their latest on home label Drop Music. 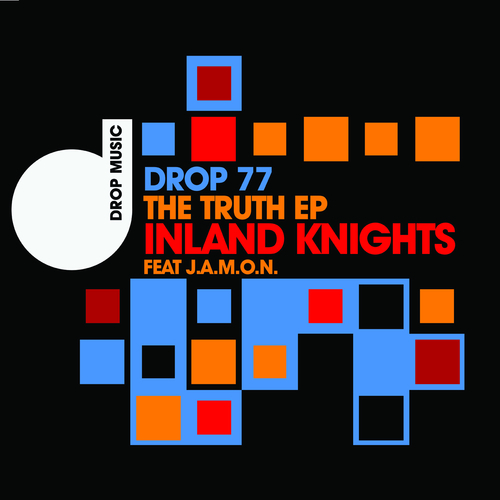 We all know what to expects form the IKs and 'The Truth EP' is no different: 2 tracks of straight up dancefloor popping underground house, crisp beats, driving deep basslines and expertly woven samples providing the hooks. Previous Inland Knights collaborator J.A.M.O.N. provides the vocals on We Gone Play. The WMC can went off with a bang with much support from Key dj’s playing this ep. Graeme Park: I'm digging it! Soul Minority: Nomad is really cool ! Will play ! Moodymanc: party time!!! both really cool for me thanks! Grant Nelson: Knights coming correct as always! Justin Harris: HOT!! love this a lot! suppoooort! Massimo DaCosta: Strong EP from the Knights ! love it. Diz: Nice on ya fellas!! Nomad is my shiznit!! Asad Rizvi: Solid as ever! DJ Mes: This is great! My Favorite INland Knights release in recent memory. Da Sunlounge: oooh I like! both track are hot. we gone play - could end up being a big one! Jay West: always a treat to find IK in my mail! Nacho Marco: Yes, full support !